By now it is clear to even the most casual observers that the eco-friendly future of cars will rely primarily on electric engines. While some of the new designs being unveiled are striking, others are taking a refreshingly more conservative direction like the new E'mo. 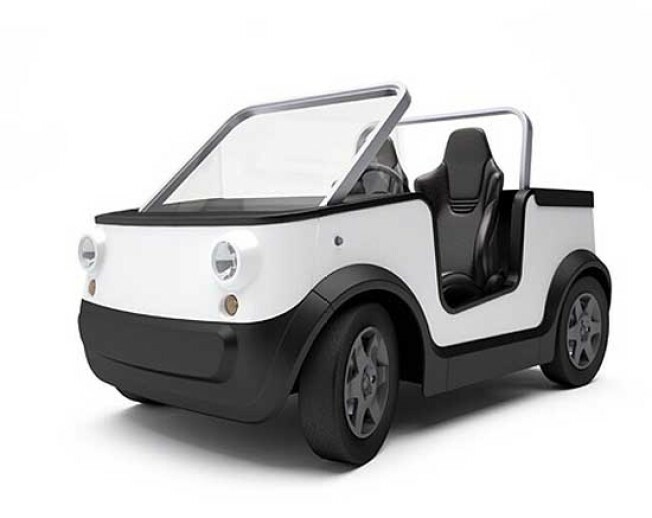 With an exterior that looks a bit like a golf cart from the world of claymation, the vehicle's cute factor makes it a possible eco-age successor to the Volkswagen bug. Designed by the StauffacherBenz Studio, the car runs on lithium-ion batteries good for about 60 miles per charge and can run at speeds up to 80 miler per hour. A release date has not been announced, but the vehicle will sell for 10,000 euros ($15,000) here. For more gadget news, check out DVICE.com.